National income averages, although widely used to measure affordability are often a poor reflection of a household’s ability to invest in housing on the ground. A reason for this is that methods of calculating average incomes often exclude informal and non-declarable income sources. In an African context where 60 percent of non-agricultural labour exists in the informal sector, there is need to urgently redress the ways in which we quantify (housing) affordability. Using formal income levels, only 4.4 percent of Uganda’s urban population have the purchasing power to afford the cheapest newly built house valued at US$ 20,000 (UGX 76 million). However, in 2010 there were an estimated 2.1 million people working in the Ugandan informal sector. This represented 59 percent of non-agriculture employment in the country and embodies a large percentage of the population with non-declarable income. While average urban incomes in Uganda are measured at US$ 264 (UGX 958,320), income levels in the informal sector are hard, if not impossible, to calculate effectively and results in significant information asymmetries in how affordability is calculated and understood. In addition, there are major data gaps in the way households earn, save and spend their incomes. This is primarily due to low levels of financial inclusion in terms of access to banking services. In 2014, 17 percent of Ugandans aged 15 or older had access to a formal savings account, 16 percent with access to formal borrowing and 44 percent with access to a bank account2. A significant percentage of Ugandan households therefore draw on informal financial instruments to manage their money and invest in housing. Building a better understanding of these instruments is essential to facilitate the development and down-market penetration of housing finance instruments. CAHF has partnered with Financial Sector Deepening Uganda (FSDU) and the Shelter and Human Settlements Alternatives : Ugandan Human Settlements Network (SSA: UHSNET) to conduct a qualitative study on the ways in which low and middle income households earn, save and spend their money on housing. 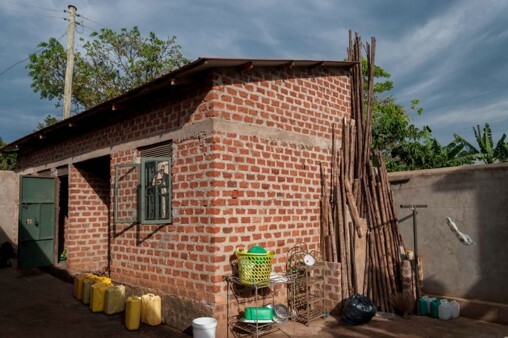 The study explores some of the key issues that underpin the housing investment decision making processes of low – and middle – income households in the Greater Kampala Metropolitan Area (GKMA). The study has engaged households through in-depth interviews, surveys, focus group discussions and the narratives of the housing investment ‘journeys’ for a select group of low – and middle – income households and provides valuable insights into the strategies these households deploy to generate the necessary financial resources to meet their housing needs. Findings show that low – and middle – income households draw strongly on a variety of informal financial sources which include household savings, soft loans from friends, savings groups and remittances from abroad to meet their housing needs. A full research report will be available in the coming weeks. Click here to access a presentation on the project.